Frank has been active in the mutual and hedge funds industry since 1997. He has particular expertise in the preparation and audit of financial statements for investment funds and in the regulatory and GAAP requirements applicable to the investment management industry. He also has expertise in the development of compliance programs for both AIFMD and UCITS funds. In addition, he has detailed experience in advising asset managers on the establishment and ongoing operation of both UCITS and non-UCITS funds. He serves as Director on a number of Irish and Cayman Islands investment fund entities. He is a Director of KB Associates. 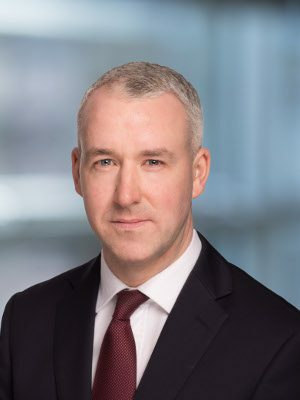 Prior to joining KB Associates, Frank was Senior Manager in the Investment Management Group at PricewaterhouseCoopers Dublin where he specialised in the audit of UCITS funds. Previously he had been with PricewaterhouseCoopers in the Cayman Islands where his responsibilities included the provision of advisory and audit services to a wide range of alternative asset managers. Frank holds a Bachelor of Commerce Degree (Hons) from University College Dublin and is a Fellow of the Institute of Chartered Accountants in Ireland.